Recently, the SchoolTool project has migrated to Launchpad for their bug tracker. We performed an import of all their previous bug reports using a new bug importer I wrote. This was the third Launchpad bug importer I’d written (the previous ones being for the Ubuntu Bugzilla import and a SourceForge importer), so I wanted this one to be the last. So the design of this importer was to have a simple XML format as an intermediate step. That way we only need to target the XML format to support a new bug tracker. This will also make it possible for projects to provide their bug data in a form we can consume for the cases where they want to migrate their bugs to Launchpad but Canonical doesn’t have the resources to do the migration. For the SchoolTool migration, Jean-François Roche put together a simple Roundup exporter. We should have some documentation about the intermediate XML format available at some point for projects interested in moving to Launchpad. One of the books I read over the holidays was American Hoax by Charles Firth. This book is apparently what he was working on while the rest of the Chaser guys were doing The Chaser’s War on Everything. The book is an exploration of different aspects of U.S. politics from an outsider’s perspective. Of course, it is a bit difficult to get a good view of the different political movements from the outside, so he creates a number of characters representing different points on the political spectrum as a way to become part of the various movements. Each of these characters was given a suitable back story, including Wikipedia articles for some and websites for others. The book is definitely worth a read. I am not sure if it has been released outside of Australia yet, but is available from Dymocks. Fix up some error handling in the dbus code. 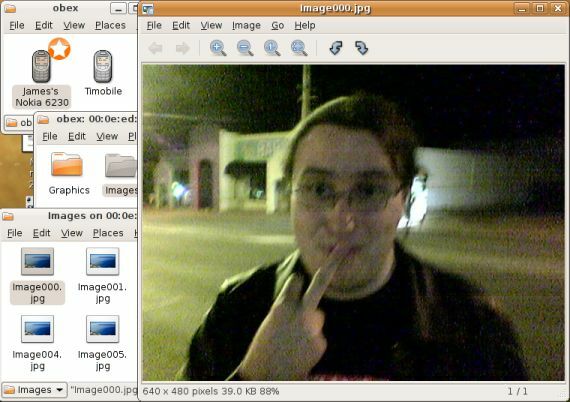 Mark files under the obex:/// virtual root as being local. This causes Nautilus to process the desktop entries and give us nice icons. Ship a copy of osso-gwobex, built statically into the VFS module. This removes the need to install another shared library only used by one application.